The Morning Report: 8/9/18 | Valet. 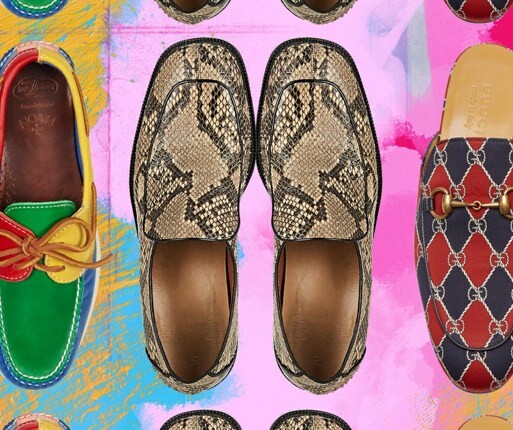 The summer that the loafer went crazy, and the designers that have taken the classic to new levels. Die a hero or live long enough to become the villain: 23 movie stars that turned villain after a run of virtuous roles. The ultra-pure, super-secret sand that makes running your phone even possible. The canned wines that, against popular opinion, you should be drinking. Talking watches with Greg Norman, the legendary golfer turned uber-successful businessman. If reincarnation is real, then maybe flies and other bugs are purposely annoying because they want to get killed and get reincarnated as something better. A penny saved is actually more valuable than a penny earned because you don't pay taxes on it. Glass buildings are just elaborate sand castles. You are paid by how hard you are to replace, not by how hard you work. LEGO is one of the only companies that can release an almost infinite amount of new products, without actually creating any new products. Camo's stealthy return, Spotify's definitive timeline from start-up to mainstay and the growth of the edible weed industry.